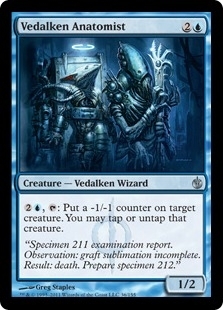 2U, Tap: Put a -1/-1 counter on target creature. You may tap or untap that creature. "Specimen 211 examination report. Observation: graft sublimation incomplete. Result: death. Prepare specimen 212."